My god. Is everything alright? Quick question. What does the picture show? In all of my dash cam installs, I've been running wire down the passenger A-pillar. Sometimes there's some fuses in the passenger footwell I can tap if I am lucky, but usually I just go behind the glovebox and splice with the cig lighter power. I've never installed a rear dash cam before, but I think I would probably just run that second wire parallel down the A-pillar, behind the passenger dash trim, and then underneath passenger door baseboard trim. I would probably go back into carpeting to get around the B-pillar before running underneath passenger rear door trim and eventually come back up the C-pillar. I've never actually done it, but conceptually I think this would work. And messing with floor carpeting is a lot easier than messing with the glued headliner. Tapping the cig lighter would depend on if you want full-time power for 'away recording' (car specific) I know my Mercedes shuts down the cig power when everything else shuts down. Yes, I want switchable power that comes on and off with the ignition. Otherwise the dash cam will drain the battery. But they do make dash cams with their own battery to come on when they sense motion. I don't have any of these though. I even turn off the g-sensor on my dash cams that are supposed to save a snippet automatically when it detects a bump. I've found out that over time, bumps will fill up the card with protected files and eventually you're not recording when you think you are. I just want a true set and forget cam till you need it, especially for cameras in my parent's car. Thanks, still pondering adding a pair to our cars. This has been a good thread for some info. Yes, the guy in the Red Pickup truck did not yield and tapped the rear bumper of the MDX and took some paint off. I had the green and right of way to get onto I-95 yet he decided he had to leave Walmart right away! Best thing to do is tap the passenger side fuse box or driver side footwell fusebox for a full time ON source with a add-a-circuit fuse. That way parking mode and all that jazz should work. I got a 5 pack from amazon and with the DC converter it works great! IF only acura's crap batteries could keep up! Thank god for AGM batteries. So far I have had 2 uses for mine but wasn't for idiot drivers. The first was when I had a hug rock kicked up that smashed my windshield. I had proof for insurance to get the window repaired but it wasn't ever needed. Second was just two weeks ago when a large tree branch at work broke of a tree and fell next to my car. It leaned up against the car a little bit. Thankfully I didn't have any damange. The rear video though would have been great evidence to give my work had I needed to have their insurance cover damages. A couple years ago we had a massive snowstorm that did a real number on the roads. I hit two potholes that were so deep I was fairly certain they had damaged the sidewall of the tire or bent the rim so I saved both dash cam clips in the event I needed to file a claim with the city. Thankfully it didn't come that...modern tires are astonishingly strong. Here's a sample of front and rear footage of my DR750. This is back from when I had the Elantra. Where was this filmed anyway? I like it!!! First two clips were in Beaverton, Oregon. Third was outside Hillsboro. Should've known based on your username, lol! I've bought one dash cam so far, just installed it in my wife's car. I went with the Aukey as Amazon had it on a lightning deal and it had really good reviews. Seems OK. I think I'll go Roav S1 for my car. Still looking. 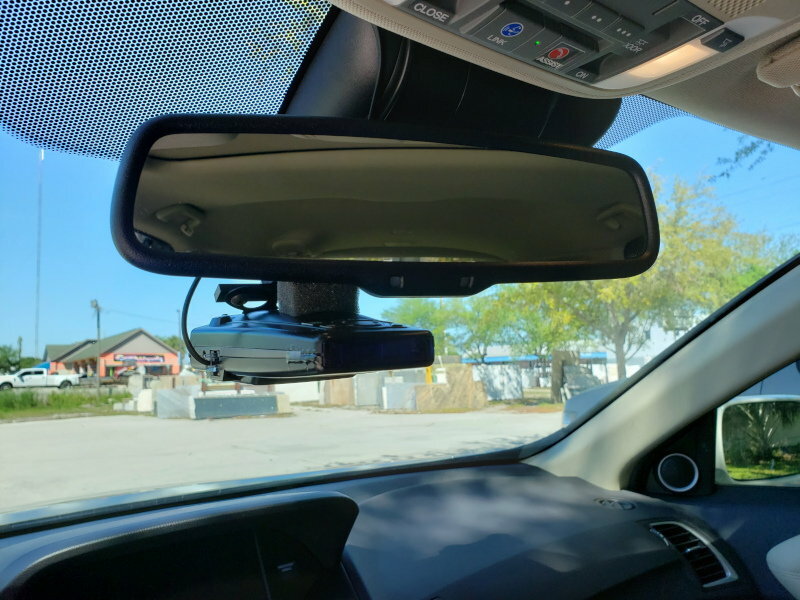 And since both our cars are SUVs and happen to have 12V power in the hatch area I'm thinking of just getting a couple cheap $50 dash cams to run separately in the rear. Much simpler than slaving and running power to a dual system. I'm using a Vantrue N2 Pro, dual cam in my 17 RDX. I used the Vantrue Mini USB 12V-24V to 5V Dash Cam Hardwire Kit with Low Voltage Protection to power-up, so draining the battery shouldn't be an issue. I plugged it into port #28 on the fuse block so it's always on, it does have PARK mode which will detect motion and hits to the car. It's not small enough to hide behind my mirror but my radar detector blocks it from my view. So far I've had good luck with it (no stories to tell as of yet) and since I can't really see it, I hardly notice it's there. 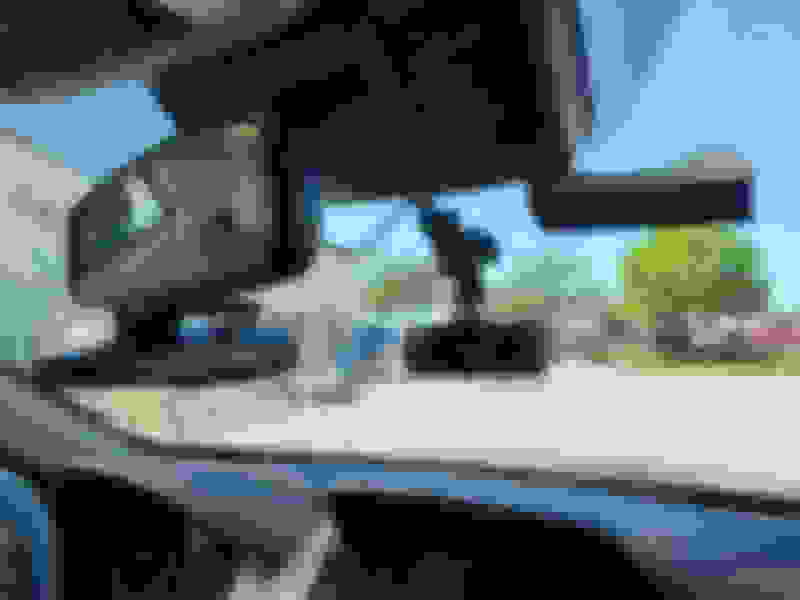 Anyone has dash cam in their car? Project: Front OEM cam or baby cam?? blocks with numbers to mark cars?